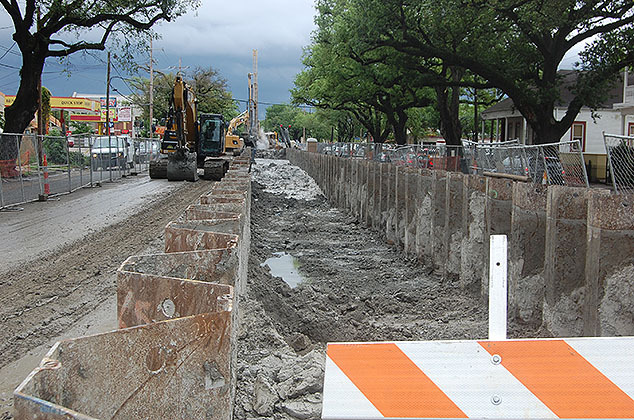 In an effort to alleviate flooding in New Orleans, The Federal Government, through the U.S. Army Corps of Engineers (USACE), has committed to spend over $1 billion on drainage construction projects through the Southeast Louisiana Urban Flood Control Program (SELA). There are no community meetings or events scheduled at this time. The Sewerage and Water Board of New Orleans and the United States Army Corps of Engineers invite you to attend a neighborhood information meeting to discuss the status of drainage improvements on Florida Avenue from Mazant Street to Saint Ferdinand Street.